Sheffield United had the opportunity to complete the double over their League One rivals, and despite both sides carving out chances the 750 travelling supporters left without seeing a successful strike. The fixture at Bloomfield Road escaped the wet and windy weather which threatened to call a halt to the League One encounter with Fleetwood Town, who are only a few miles down the road, seeing their home clash with Walsall called off. Blades boss Nigel Adkins made three changes to the side which drew at home to Swindon four days previous. Former Blackpool midfielder Chris Basham and Matt Done both missed out through injury, whilst Martyn Woolford was rested. The trio were replaced by Jose Baxter, Conor Sammon and Jamal Campbell-Ryce whilst Academy starlet Dominic Calvert-Lewin was handed a place on the bench. United looked to take the game to the Tangerines from the off, creating an opportunity within the first minute. A link up between Sharp and Brayford prior to Coutts cross found the attacking Sammon, but he side footed wide. The weather drawn pitch (as well as the conditions) were going to be an issue throughout the night but the hosts adapted and on three minutes McAlister's cross saw Redshaw head wide. Sharp half-volleyed over the top after Coutts supplied the cross and, at the other end, McAllsiter would have scored had Long not pushed his long-range effort around the post to safety. The Blades found themselves in control on 15 minute mark and worked well a couple of chances to take the lead. Campbell-Ryce and Sammon combined to lay off Sharp but the striker curled wide. Blackpool keeper Doyle had his hands stung from Campbell-Ryce's shot from distance before the shot-stopper made a great reaction save from Sammon to deny the on-loan Derby man. As the first half drew to a close, former Blade Mark Yeates saw his free-kick curl into the arms of Long. The two teams re-entered the field as you were for the second half with neither side making any substitutions. It was the hosts who made the better start to the half as they carved out a couple opportunities for themselves. Potts drove his shot over the top whilst Evatt headed wide from McAllister's corner. Blackpool were the first to make a change with Ikpeazu replacing McAllister after 61 minutes with the substitute getting the better of Baxter before hitting the roof of the net with his effort. With twenty minutes remaining Adams replaced a hobbling Sharp. United almost found a goal four minutes later. A move involving Coutts, Adams and Sammon combined before Campbell-Ryce drew a save from Doyle who held on at the second attempt. Collins also headed over a Baxter corner as the visitors asked questions of the home defence. Tired legs saw Ikpeazu use his strength and speed to run at the back four but both sides were able to create chances as the rain fell over the Lancashire sky. McEverley blocked Norris shot as the game moved into injury time whilst the latter volleyed over in another chance. Despite the game ending goal-less it was no surprise that the home keeper was handed Man of the Match award. Blackpool: Doyle, White, Ferguson, McAlister (Ikpeazu 61), Potts, Redshaw (Cullen 73), Aldred, Philliskirk, Norris, Aimson (Robertson 75), Yeates. Unused: Herron, Boyce, Osayi-Samuel, Lutheran. 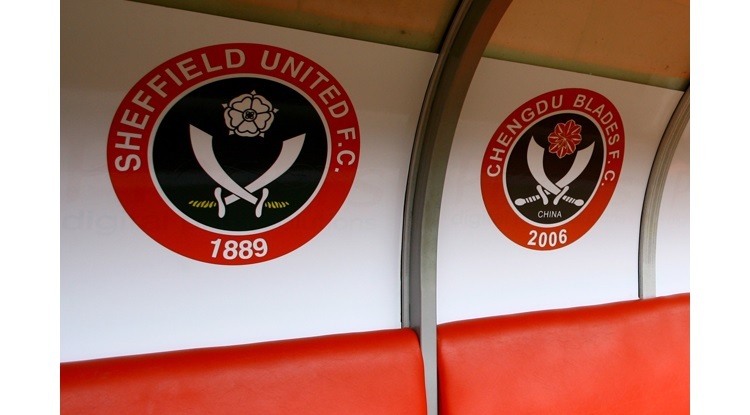 Sheffield United: Long, Brayford, Coutts (Flynn 89), Sharp (Adams 70), Baxter (Woolford 86), Collins, Sammon, McEveley, Campbell-Ryce, Edgar, Hammond. Unused: Howard, Reed, Calvert-Lewin, McGahey.